Aquarius is in charge of circulatory system and lower part of legs. 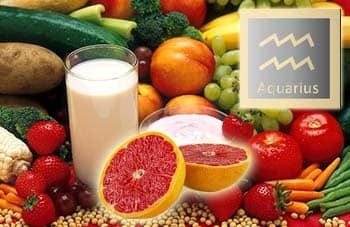 Health picture: Aquarius is a robust and solid sign. They are outstanding with their stature, reaction, healthy and beautiful shape of legs, and elegant ankles. They are intellectuals and they develop their mind as well as their body. It is important for Aquarius to be balanced and developed in few areas. However, if they are passive about their body, they gain weight in a fast tempo. They usually lack of iron, which leads to exhaustion and depression and blood or circulatory problems. They are usually very busy, so their diet rarely includes homemade food, greens and healthy salads. 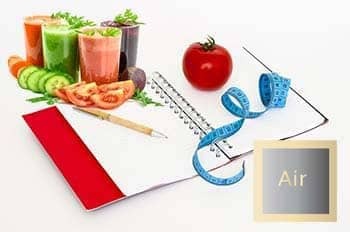 They need to organize their time and dedicate it to healthy diet, because food determines the energetic level in the body and the amount of events we can handle. Less snacks – more proper homemade food. Aquarius's biological cell salt is sodium chloride – regular and usual salt. Eating tips: The best way is to get sodium chloride in a natural way from different food. The food that contains natural salt is seafood in many variations, among fruits and veggies - radishes, celery, cabbage, spinach, parsley, lettuce, corn, squash, lentils, zucchini, walnuts, pineapples, apricots, limes, and grapefruits. Aquarius should limit junk food and fat food in their diets, because it can cause troublesome circulation due to cholesterol blocking veins. Whole grain bread is a great alternative to regular breads. 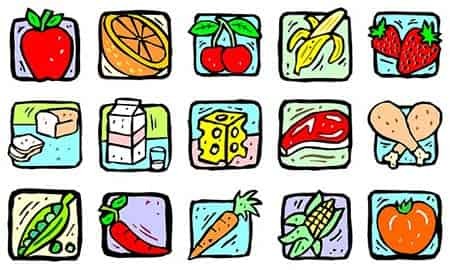 Other useful for Aquarius food is poultry, peppers, tomatoes, grapes, yogurts, almonds, strawberries, rucola, lettuce, beetroot, plums, melons, pepper, low-fat cheeses. Avoid: Slow down with coffee consumption, because coffee in excessive amounts (more than 3 cups per day) leads to nervousness and loses toning effect. Mint, chamomile, salvia teas can relieve tension and regulate blood circulations as an alternative to coffee.